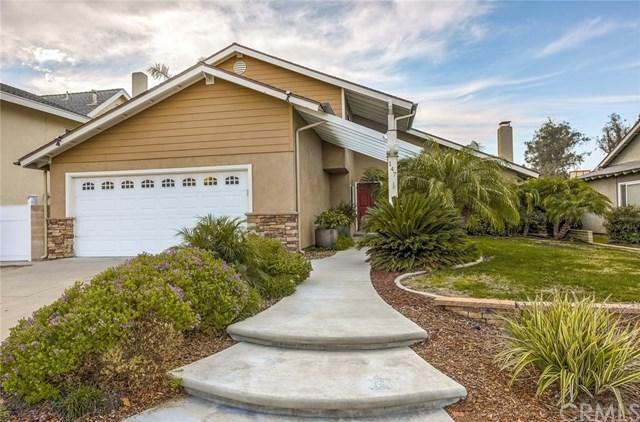 This highly upgraded home has it all inside & out. From the moment you enter you will fall in love with this beautiful home. 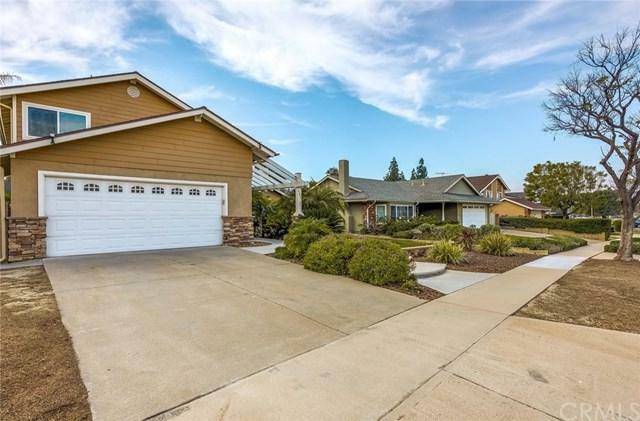 This spacious two story home has 4 bedrooms and 3 baths, (a full bedroom and bath downstairs), vaulted ceilings in living room with stacked stone fireplace & hearth adding to this rooms charm. The formal dining area has a large picture window that over looks the beautiful private rear yard. The remodeled kitchen is immaculate with new cabinets and quartz counters as well as all new stainless steel appliances. The oversized family room has its own wet bar that looks out over a beautifully landscaped rear yard with multiple patio covers as well as a separate gazebo with stone pavers and its own fireplace to enjoy a glass of wine after a stressful day. 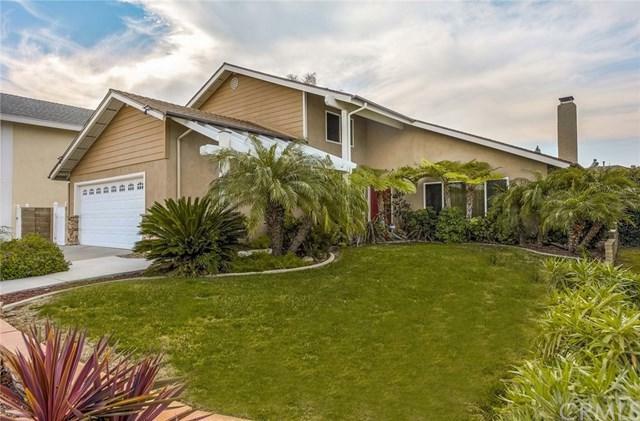 The oversized master bedroom has two walk in closets as well as a remodeled master bathroom with double sinks, granite counters and shower as well as a peek a boo view out to Eucalyptus Park. The two secondary bedrooms are also ample size and share a remodeled bathroom with dual sinks, stone counters and a spa tub. Some of the other amenities include dual pane energy star windows and blinds, newer 5 ton AC & Furnace, water softener and craftsman styled doors throughout. Don't miss the massive storage area above garage with pull down ladder and a lift for those hard to lift objects. All this and centrally located to the park and all schools and shopping. Don't miss it!! Sold by Stephanie Abrego of First Team Real Estate. 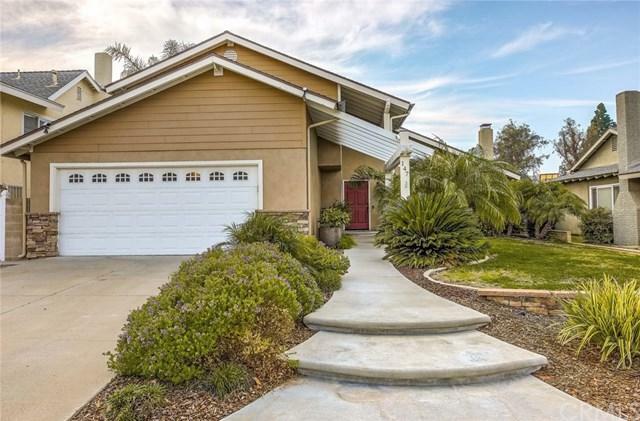 Exclusions Patio Furniture Living Room Mirror Teak Bench Driveway Camera And Garage Fridge. Inclusions Fridge Lg Washer & Dryer Water Softener Ring Door Bell Patio Shades Bar Stools Outside Fireplace Fire Place Screen Front Entry Pots.